This series invites visitors of all ages to explore and create with found and reused materials. These workshops are hands-on and open-ended. Join us as we explore creating and learning with reusable materials, making eco-art, and building focus, persistence, and problem-solving skills. Each session has a theme, but material will be available in the studio for kids and parents to make & create whatever they want. 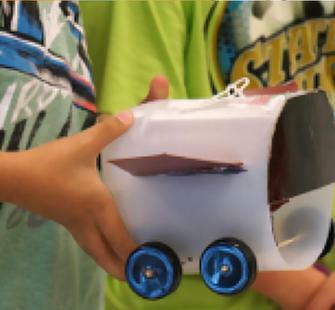 This week’s theme: Making Something That Rolls: a design challenge/design thinking workshop. NOTE: instruction and tools are safest for ages 6 & up; for children under 6, parents will need to provide direct assistance and supervision.